I was Cleaning the garage making room for my boat project and I came across a book that I thought I lost years ago. It has all my fishing spots and spots of many of the old time captains around here. There has to be close to 5000 locations. One thing is it is in Loran C format with TD's. I know there are programs out there that will convert them, I currently use Nobeltec which does it as well. My question is. Has anyone tried this and had any luck doing it and keeping the accuracy? Most of the spots are for rock cod and many of them are probably to deep to fish with the new laws anyways. But they are not really something that just getting close to will do. Is it worth spending the time on it? I will have to enter them all in Excel or something to have them imported. Re: Loran C TD's to GPS Question. KIDDING those loran numbers are gold. I have had the privilege of studying under some of the top local Captains in the area. For me I get my kicks studying charts from all sources and prospecting for fish. More than just setting up on known spots. Which old time Captain's do you know? Which ramp do you call home? Sure would like to talk to you about local fishing. Introduce you to SlDave,Kenny,In2deep and a few other local Aluminumalloyboats members. If it was me who had the loran numbers I would convert using Nobeltech for getting close. Fish them metering about taking into consideration tide and current. Pin drop them on a Google Map. 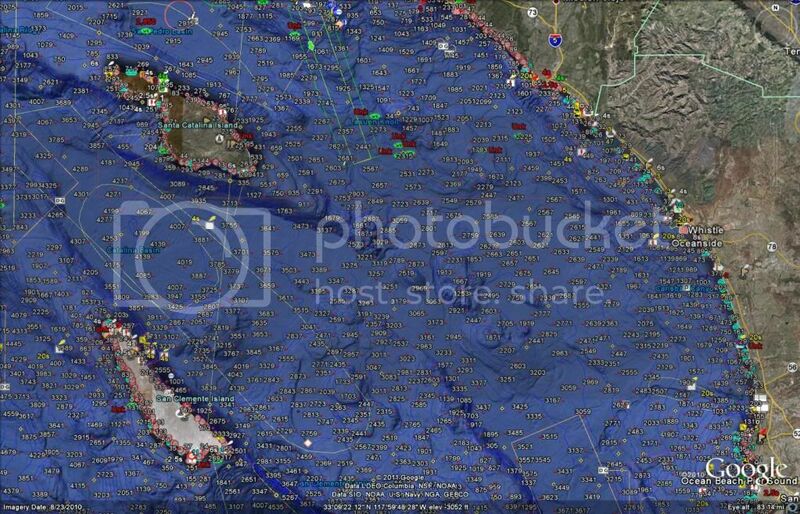 On the pin drop I would use the properties option which records GPS coordinates and write name/comments about environment and fishing success plus future probabilities. A fun and interactive way to chart your information. I entered in some of the TD's to Nobeltec for some of the well know locations that I could find multiple sources for numbers and it was surprisingly accurate. It was off by about 100' but it allows for some adjustment. So with a little trial and error I may be able to get it dialed in. I started going out on the half day boat off the end of the seal beach pier when I was probably about 10. Then I started pin-heading after a few trips and that was the that... I was hooked and thought it was something I would do for the rest of my life. I got my licenses at 20 when I was working for Shawn Morgon and Ed Leland on the M\V City Seal Beach. It was never the fastest or nicest boat but those two could out fish anyone. I think that I started in the industry at a good time. I was able to learn from the older guys who were on there way out and not be like many my age who would be lost without the GPS telling them where to point the boat. 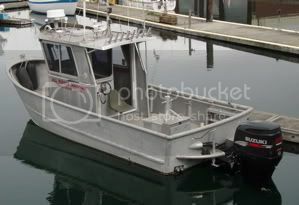 I would fill in on some of the other boats in the Long Beach area but for the most part my time was spent on the City. So from the early 90's to 2005 ish I pretty much new every sport boat captain from Newport to Pedro. It was always nice to jump on another boat on your days off and not have to pay. Since then I have lost touch with almost all of them, with kids I just couldn't stay in the industry. Monster Computer using Google Earth and a overlay program. This is my sand box. Mojo, those are my old stomping grounds too . . . brings back memories . . . particularly white sea bass at the west end . . . do they still show there? Chaps, Wow small world my Alloy brother....... West end is alive.......White seabass is making a resurgence. Whenever the market squid spawn the ghosts appear. I keep missing them by a day, early Yeah I know should have been there yesterday/tomorrow. The So Cal connection is getting larger. Les is a So Cal Texan. I left socal about 20 years ago, running offshore chasing tuna, stripers (marlin), occasionally swords, pulling rockfish up from 600 ft out at San Nicolas & S. Barbara Islands, fishing the kelp beds for calicos, etc. is the only thing I miss about my life down there (and sometimes the weather ) Oh, and the mexican food . . . Shortly after loran got shut down, I knew a few that picked a conversion machine looks a lot like a loran, replaces the obsolete. Once the offset is set I hear it works like a champ. And they are stand alone furuno units. Cool device Gandrfab did not know Furuno made one. Do you know if anything is happening with Enchanced Loran? I thought it was going to be backup if something happens to GPS (hacked, jammed). Will the new system be compatible with old loran numbers? Chaps and gang. What do you think of one day having a San Diego Charter chasing Yellowfin Tuna, Yellowtail and Dorado???? Enchanced Loran, is over my head. But I have fished with old charter Capt. that refused to use GPS, and that machine came out in time for them. mojomizer wrote: Chaps and gang. What do you think of one day having a San Diego Charter chasing Yellowfin Tuna, Yellowtail and Dorado??? ?